After last week's Angry Bird Pizza fail, I'm back on the pizza train. Love this quote from Pinterest, but of course. This week I tried out a recipe from my pal Jaima over at Ring Around the Rosies. Yeah, that Jaima who is pretty Pinterest famous for her freezer cooking. I know her. For real. Not like I know Jennifer Lawrence because my physical therapist met her (and hung out with her) at the post Saturday Night Live party. Or how I know the attractive young man in the Super Bowl Calvin Klein ad because he's my friend's nephew. Nope, I really know Jaima (met her at BlissDom last year). Check her out. Not only am I always looking for ways to jazz up the average homemade pizza, but I'm also always looking for gluten free recipes because we are a gluten free household. So, this Gluten Free Mini Pizza Cups pin was perfect. And easy. But could I handle it? Armed with our trusty gluten free Bisquick and my baking buddy, Wade, I dove right into the recipe. Prepare biscuits according to Bisquick directions, double the batch to make 20, or use canned biscuits if you do not have a gluten intolerance. Place in muffin tins, top with sauce, cheese, then pepperoni. Bake at 350 for 15 minutes. It was a simple recipe and even though my pan is dirtier than Jaima's, I think they look pretty similar. Most importantly, they tasted very good. We modified a bit when we realized we forgot to buy mini pepperonis--we just sliced regular sized pepperonis up. My kids loved them. The only thing I would do differently is put less batter/dough mix in each muffin tin spot. 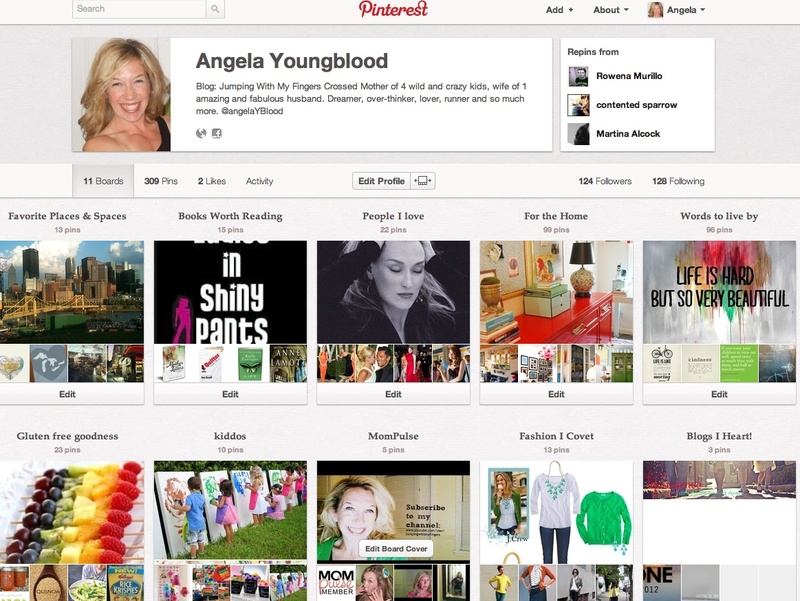 Another week, another Pinterest pin conquered--proving I am no poser. I'm the real deal, dirty pan and all. 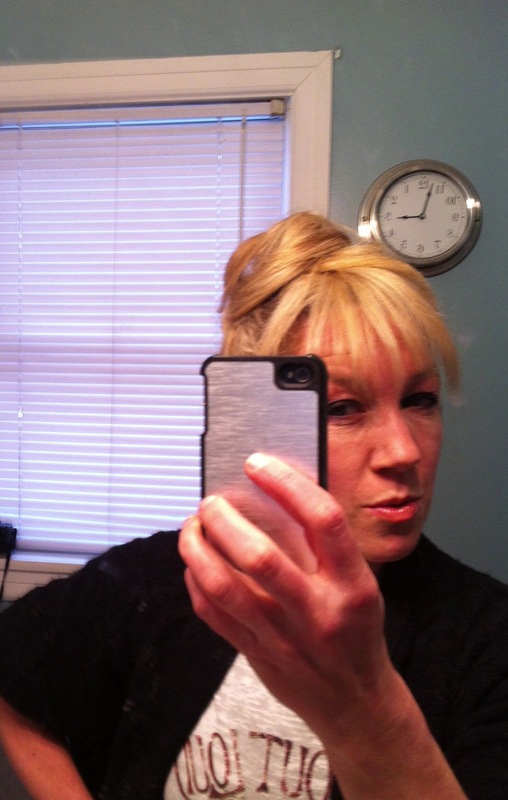 Anyone try out the fake bangs from last week? Ooooh, if you did, please send pictures or post them up on my Facebook page. If you missed that poser challenge, click here. Trying to follow your lead & not be a Pinterest Poser! Check out my pics on Facebook of the awesome (& super easy) heart crayons we made! Love reading your super fun & inspiring blog! "Start being pizza." OMG I LOVE IT. Love Jaima, too. SHe's such a sweetheart. 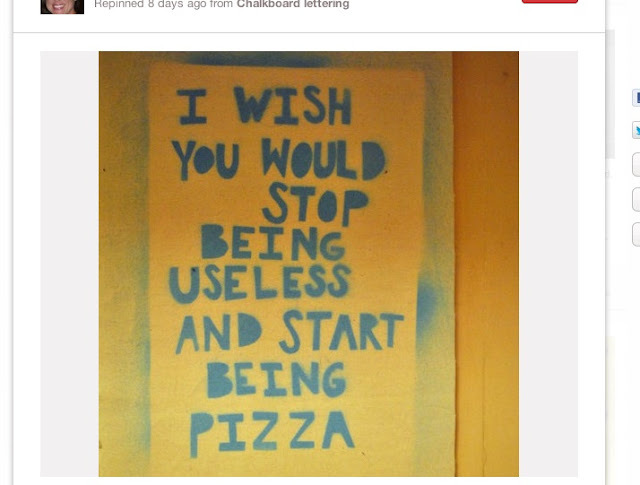 I totally have those mini pizzas pinned and have been thisclose to making them before and haven't. I will, though. They look yummy.